Hello Friends, Are you searching for Constable Jobs 2019? If yes then here is great opportunity for you. Railway Protection Force has issued notification for 798 Constable vacancies. Interested candidates can apply for RPF Recruitment 2019. Mode of filling application form is online. Opening date to apply online for RPF Constable (Ancillary) Jobs 2019 is 01.01.2019. Applicants must fill application forms before last date i.e. 30.01.2019. To get more details regarding RPF Vacancy 2019, Aspirants must read the whole article given below carefully. Fresh Update as on 25.01.2019: Participants who are interested in Constable (Ancillary) Jobs must fill online forms for RPF Recruitment. Applicants must check eligibility criteria required for RPF Constable Vacancy from here. You can also download RPF Notification from the direct link given here. 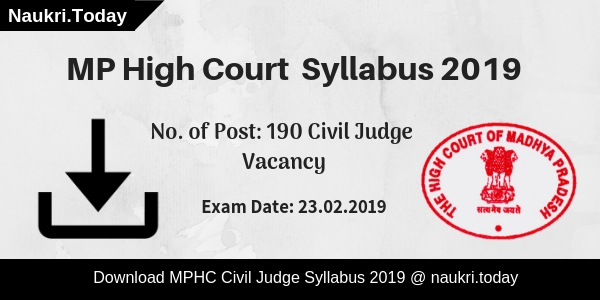 Candidates should fill application forms before or on 30.01.2019. 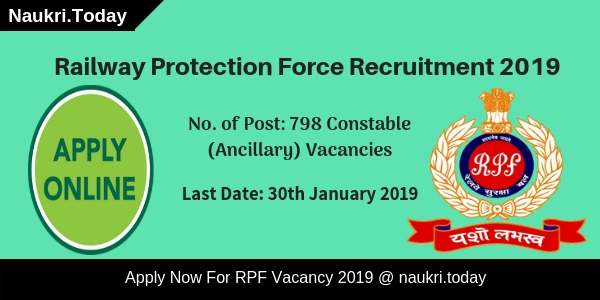 Fresh Update as on 04.01.2019: RPF Recruitment has released advertisement for 798 Constable (Ancillary) Posts. Interested and eligible candidate must fill online forms for RPF Vacancy. Participants can fill forms from here link given at the end of the article & for more details you can also download RPF Notification from here. Applicants must fill application forms before last date i.e. 30.01.2019. Latest Update as on 28.12.2018: Dear Applicants, are you looking for Constable (Ancillary) Jobs? If yes then this is right place for you. Candidate can apply for RPF Recruitment from link given below. Before filling application form participants must check eligibility criteria, selection process from here. Last date to apply online for GPSC Jobs is 30.01.2019. Candidates who are going to apply must fulfill some eligibility criteria for RPF Recruitment 2019. Here some eligibility parameters are fixed by the department for RPF Constable (Ancillary) Vacancy 2019. Applicants must confirm their eligibility before filling RPF application form. Also check required age for the constable jobs. Applicants who wish to apply for Railway Protection Force Recruitment 2019 must check required qualification. Participants must have passed 10th class/ Matriculation from any recognized board for RPF Constable (Ancillary) Jobs. Additionally, candidates should also have SSLC certificate from recognized institute. For further more information you may check RPF Notification 2019 from the link given below at the end of article. Participants who wish to apply for RPF Recruitment 2019 must have minimum age as 18 years. Similarly, applicants should not have exceeded 25 years to get eligible for RPF Constable (Ancillary) Vacancy 2019. Here upper age relaxation scheme is also applicable as per rules and regulations of the government. For more information relevant to age limit candidate must check RPF Jobs 2019 notification from link given below. Aspirants belonging to Reserved Category/ SC/ ST will get upper age relaxation of 05 years. Contenders of OBC Category will get relaxation of 03 years for RPF Vacancy 2019. Department will going to conduct written examination for the candidates who have applied online for RPF Recruitment 2019. Selection of the applicants will be on the basis of written test. Online written exam will be held in the month of February or March 2019. Aspirants who qualifies in written exam will get called for PET, PMT, Trade Test for RPF Constable (Ancillary) Jobs 2019. After all the test candidate will be call for the document verification round by the department. For physical test, here some physical standards are fix by the department. Contenders must fulfill these parameters to get eligible for RPF Jobs 2019. To get rest of information applicants must download RPF Notification from the link given below. Applicants who wish to apply for RPF Recruitment 2019 have to pay application fee. Candidates belonging to Unreserved Category/ General/ OBC have to pay Rs.500/- as registration fee. Aspirants who belongs to Reserved Category/ SC/ ST need to pay Rs.250/- as application fee. To get more details for RPF Application Fee contenders may check official notification from the link given below. Department will pay good salary to the selected candidates. Aspirants will get paid according to Level 2 & Level 3 of the CPC. Here description of pay scale is given in below section for RPF Recruitment 2019. Safaiwala, Water Carrier, Washerman, Barber & Gardener & Level 3 of 7th CPC : Rs.21700/- and other allowances. Those aspirants who are going to apply for RPF Jobs 2019 must fill online application forms before or on 30.01.2019. Here we are giving some easy steps to follow while filling online registration form. Firstly, Candidate must logon to official portal i.e. rpfonlinereg.in. Search for RPF Notification 2019 there. Interested & Eligible participants can fill online application form. Contenders click on “Apply Online” link. Fill all the required details in RPF registration form. Upload your passport size photo & scanned signature in online form. Then recheck all the details given by you. Make payment of RPF Recruitment application fee. Aspirants can also take print out of application form. Conclusion: Railway Protection Force has published an new advertisement for 798 Constable (Ancillary) vacancies. Interested & eligible candidates can apply for RPF Recruitment 2019 through online mode. Last date of filling online application form for RPF Bharti is 30.01.2019. Hey Candidates, Are you searching for RPF Recruitment 2018? then Railway Protection Force Department has declared 9739 vacancies of Constable & Sub Inspector. The vacancies are available for both Male and Female applicants. Interested and Eligible candidates can apply for RPF Vacancies 2018 from the official link given below. Starting Date for submitting online application form will be 01st June 2018. Last date to apply for RPF Constable SI Bharti 2018 is 30th June 2018. Candidates must also collect furthermore information like age criteria, qualifications, selection process etc. for from here. Indian Railway & Railway Recruitment Board has recently issued employment notification for 8619 Constable and 1120 Sub Inspector Vacancies. RPSC Constable Recruitment 2018 online registration will be starting in the month of June 2018. The examination for RPF SI Vacancies will get organized in the month of September/October 2018. Applicants can fill RPF Jobs Online Form either here or official site. Furthermore information you can collect from given article. So read it carefully. Candidates want to apply for RPF Recruitment 2018 may check Eligibility Criteria details from here. Below paragraph contains information regarding Education Qualification, Age Criteria & Application Fees etc. for Railway Protection Force Jobs 2018. Interested participants may read all the information carefully and then apply for RPF Jobs 2018 here. For 8619 RPF Constable Recruitment : Candidates should hold Matriculation (10th) pass Certificate from recognized Board. For 1120 RPF Sub Inspector Vacancy : Applicants should be completed their Graduation from recognized university. The more qualification information will be uploaded on RPF Bharti Notification 2018, which is available on below section. Candidates must have minimum age limit 18 years old for RPF Constable Job 2018. Maximum Age Limit should not more than 25 years old. Age Relaxation is also available for candidates as per Government rules for RPF Constable Vacancy 2018. Applicants who want to apply for RPF SI Recruitment must be completed 20 years. And the maximum age requires for Sub Inspector vacancy is 25 years. Upeeer age relaxation for RPF Recruitment is mention below. Candidates who belong to General category their application fees is Rs 500/- for RPF Constable Bharti 2018. When you appearing in CBT Rs. 400/- will be refunded after deducting bank charges. 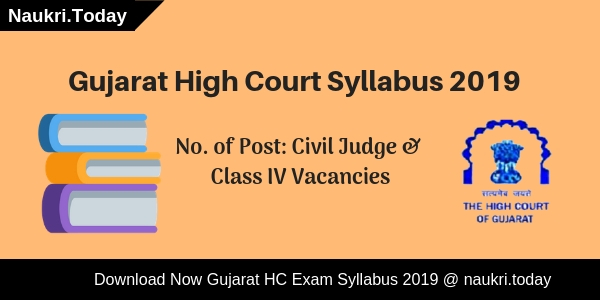 SC/ST/OBC/PWD category candidates will require paying Rs. 250/- toward RPF SI Jobs. When applicants are appearing in CBT full fees amound refunded after deduction bank charges. For RPF Recruitment 2018 fees will be paid through online or offline mode. Furthermore, information checks RPF Notification 2018 for Constable and Sub Inspector Vacancies. Applicants have to cross the four stages to get select in RPF Constable Bharti 2018 which is mentioned below. Check more selection process on RPF Constable/SI Syllabus 2018. Candidates who got selected for RPF Constable Job 2018 will offer a salary of Rs. 21700/- with other allowances as per pay matrix level 3. Applicants who are selected for RPF Sub Inspector Recruitment will receive Rs. 35400/- plus other allowances as per pay matrix level 6. Furthermore information check RPF Notification 2018. Candidates can who want to fill online application form for RPF Constable job 2018 can see the simple steps given below. Applicants who wawnt to apply for RPF SI Vacancy arte also can follow the same steps. If your Eligible then click on Apply Link. If you want to apply for RPF Constable Jobs then click on that link. Candidates who wish to apply for RPF SI Vacancy then click to “Sub Inspector Online Form” link. Enter the complete information which required in RPF Recruitment 2018 application form. Candidates must recheck the application form once again. After that candidates must click on Submit Button. Pay the Application Fees for RPF Bharti 2018. Conclusion : RPF Recruitment 2018 has been announced for 9739 vacancy of Constable. Eligible candidates can fill the application form for Railway Protection Force Job 2018 before last date i.e 30th June 2018. RPF SI/Constable Bharti online Registration will starts on 01st June 2018. So pleas visit here to apply online for RPF SI Vacancy.